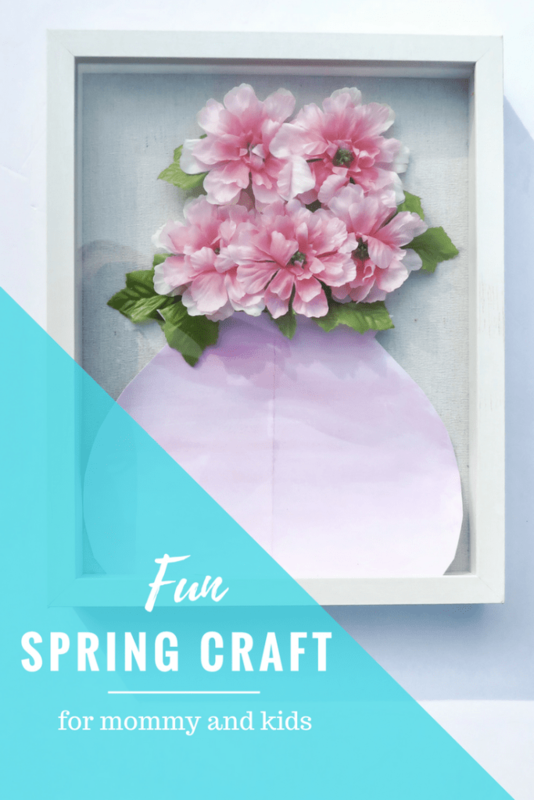 Here is a sweet and darling craft to usher in the first day of Spring. This craft can easily be adjusted to fit your style and the materials you have on hand. 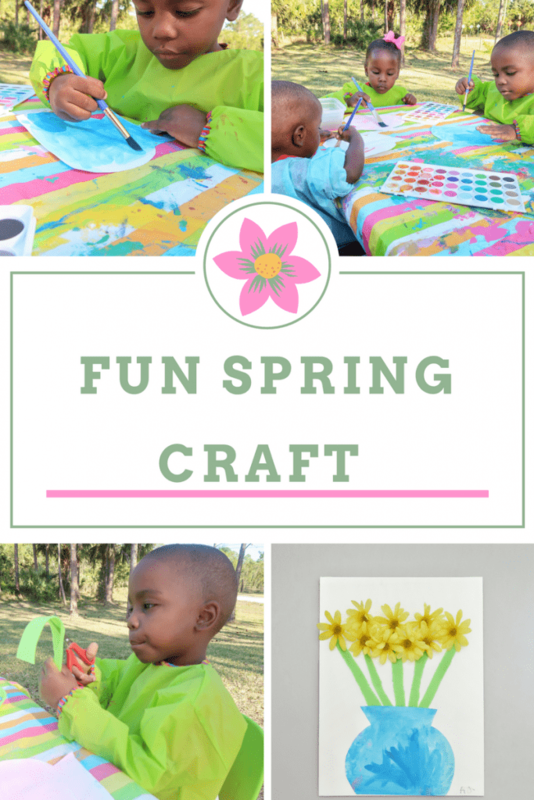 Feel free to use this as inspiration for your spring crafting and get creative! After doing this craft with my children I realized it was enjoyable for adults also. 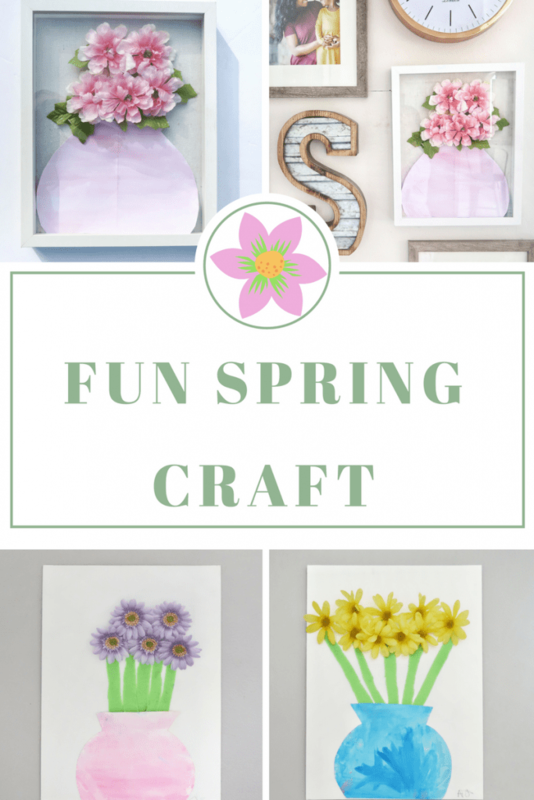 The perfect spring craft for mommy and me. You can see the adult and children’s version of this craft in the photos. The best part is I was even able to hang our completed floral designs around our home. 1. Use the white cardstock to cut out a vase shape. 2. Paint the entire vase using watercolors or the coloring medium of your choice. 3. While the vase is drying cut strips of the green felt. The strips will be used as the flower stems. This is optional. If you prefer not to have the green felt stems you can skip this step and adjust the space between your flowers and the vase when you assemble and glue everything. 4. Use your glue stick to stick the vase on to the canvas. If you are adding the green felt stems do not glue the top of the vase down yet. 5. Use your glue stick to glue the green felt onto your canvas. Place the bottom of the felt strip behind the vase so they look like they are coming out of the vase and not simply sitting above the vase. 6. Place the artificial flowers on the canvas in the way you want them to lay. If you are not applying the felt stems you will place the flowers just above the vase. If you are using the felt stems the flowers should be placed on the tip of the felt strips. Once you’ve arranged them to your liking, use your hot glue gun to attach the canvas. You will need to do this part for your children since the glue gun is hot. 7. Have your child write their initials on their work of art! This step is optional but you can ask your child for suggestions on where they’d like to display their spring craft. My daughter was so excited to have me hang her and my son’s work in their playroom. We used command strips to hang the canvas on the wall. 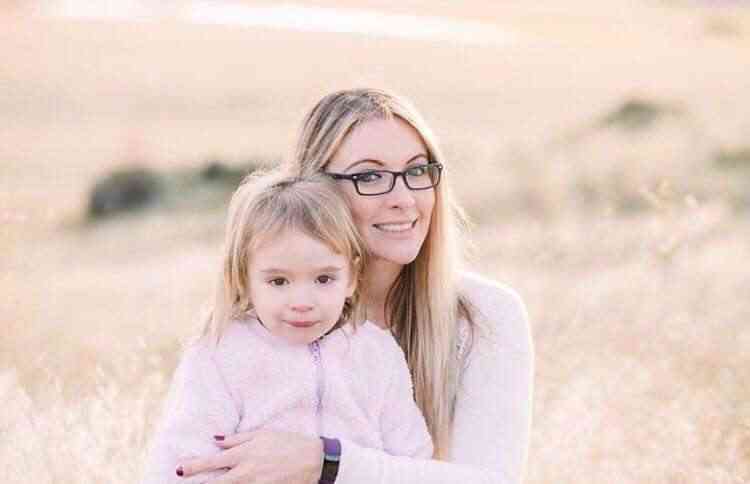 Ashley is a wife and cop turned homeschooling mom.She lives in the sunshine state with her husband and their three spunky children. The Purposeful Nest is where she shares about family travels, homeschool adventures, DIY projects and more.